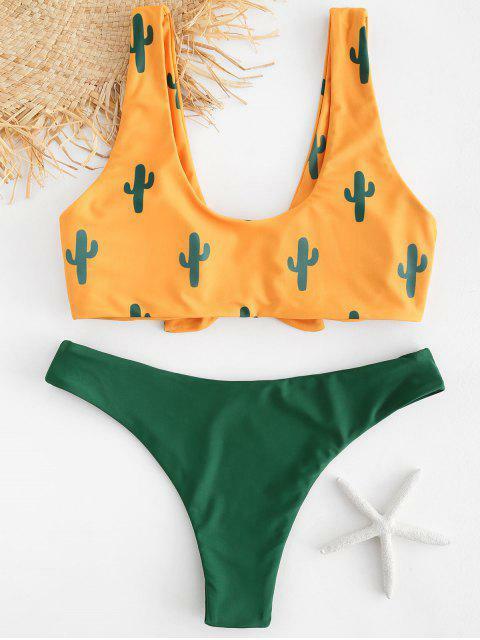 [19% OFF] 2019 Cactus Print Contrast Knot Bikini Set In BEE YELLOW | ZAFUL .. I was super scared about ordering but I’m so glad I did. This top fits SO well and it is SUPER soft. I’m 5’6, 130 pounds and I wear a size B/C in bra. I ordered a small! Super cute !!! 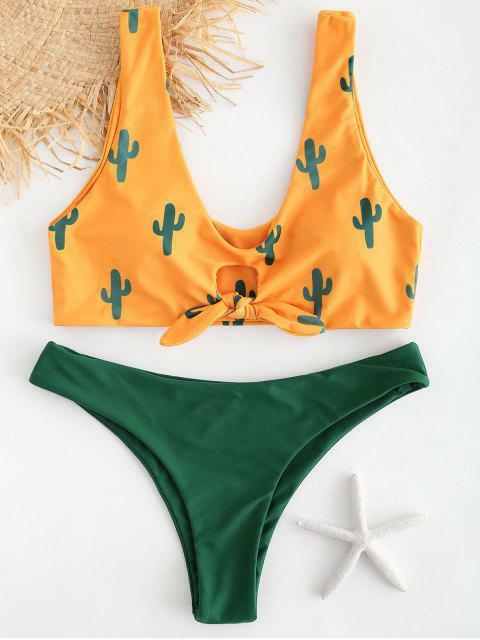 Take this contrast bikini and make a splash on the beach, you will remember this trip forever! 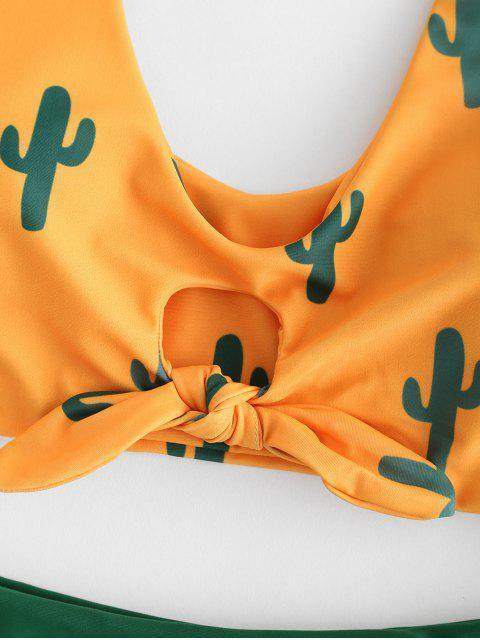 The plunging bikini top is styled with cactus pattern all over and a knotted tie on the front. Matching with a pair of solid cheeky briefs to complete the look. And the wide shoulder straps can offer comfortable support all the beach time.